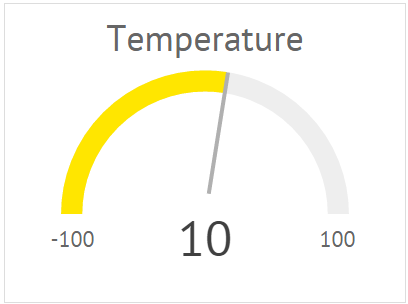 value - (number) the initial value of the Gage widget. It should be set within the range of the minRange and maxRange parameters' values or equal to one of them. The full list of available configuration properties is given in the Gage API. It is possible to load data into Gage from an external data source and get data from gage as well. .webix_gage_animated - the colored line. You need to adjust its properties transition and animation.